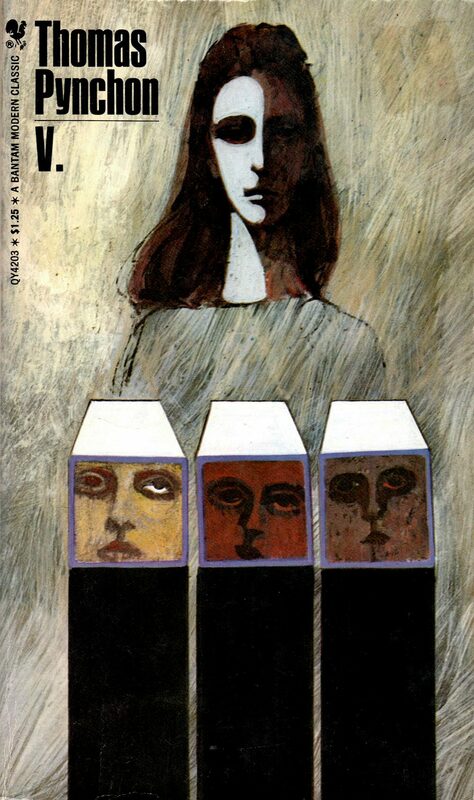 ABOVE: Thomas Pynchon, V. (NY: Bantam, 1968), with cover art by the great unknown. If anyone out there knows for sure who the artist is here — by itself, the generic 60s illustration style points in any number of directions! — please feel free to post the information in the comments below. P.S. The hot spot to the left of the figure is not glare from the glossy cover stock; rather, it’s a feature of the illustration.